Sales in China have begun of the e6. A cooperation with Daimler to develop another EV is in progress. BYD Auto, the Chinese car manufacturer partly owned by billionaire Warren Buffet, is very active in the electric car segment. This week the firm announced during the beginning of sales for the e6, an all-electric minivan. The marketing will concentrate on the chinese market and later on in markets abroad. In addition the company also announced cooperation with Daimler of Germany in development of new electric cars. The e6 is 179.3 in length, 64.2 in high and has a wheelbase of 111.4 in. It is a five seat minivan propelled by a permanent-magnet type synchronous motor with 101 hp and 332 lb-ft. It has a FWD configuration and transmission is by an intelligent central management system. 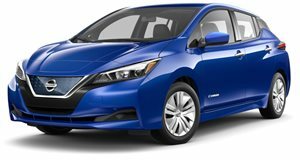 The e6&apos;s range is 184.6 miles (that is at least the manufacturer&apos;s claim) due to a 60-kWh battery (more than double the capacity of a Nissan Leaf battery). The e6 has a top speed of 87 mph and it takes over 14 seconds to accelerate from 0 to 62 mph. The e6&apos;s price is $39,000 after government subsidies. BYD Auto also announced this week a concept for an electric car stemming from the joint venture with Daimler. The joint venture, known also as BNDT, will display its first concept car at the Beijing Auto Show next April. A production model is expected by 2013.